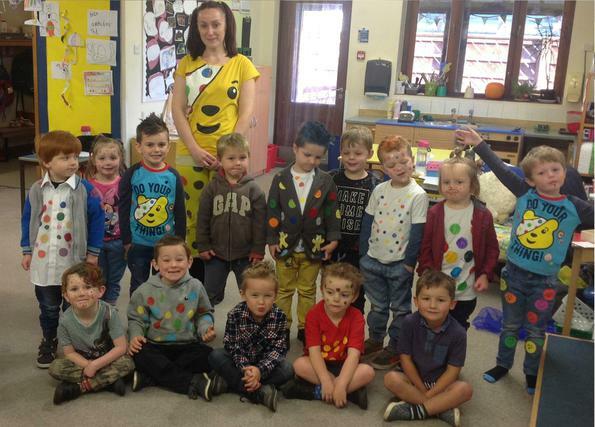 Youngsters in Dulverton have been raising money for the BBC's Children in Need appeal. The School council decided that they would like to look super spotacular, have wonderfully wacky hair, take part in the big Children in Need duck race and collect old £1.00 coins. Mrs Hatch, Headteacher, said, “What a fantastic day we had, raising money for this very good cause. I don't think Dulverton has ever seen so many spots! We enjoyed a whole host of activities! Well done everyone and thank you for your support! Dulverton Junior School, All Saints Church of England School and Little Owls Nursery dug deep and raised just under £300 for this important cause.